At some point, we all ask ourselves, “Who am I?” For some of us, the answer is found by the events that intersect us throughout life. The good, the bad and the ugly. Alan Kelso shares in I WILL NOT BE DEFINED TM, his story of unwillingess to allow insurmountable obstacles to define who we are and instead continuously trusting God to unleash His unlimited possiblities. An exciting and inspirational book you won’t be able to put down. Alan Kelso serves as President of KMI, Inc. and KMI Publishing. He has spent more than 25+ years as a Pastor, Evangelist, Conference Speaker and International Guest Lecturer and Author. As well as spending 17 years as an Entrepreneur and Life Coach. Kelso has shared the stage with such notables as Ambassador Alan Keyes and former Texas State Legislature Rick Green founder of the “The Torch of Freedom Foundation. He was a leader in the ProFamily Coalition of NE Florida. Worked on an Advisory Council for President George Bush which led to his appointment to the Business Commission headed by the US House Majority Whip Tom Delay of Texas. His new released Book, “I WILL NOT BE DEFINED™”, is a true story of Transformation, Inspiration, Suspense, and Hope. “We do not have to define our lives according to pressures being placed upon us or the tragedies of life. But by the Unlimited Possibilities of God in our lives.” ~ Alan Kelso. "A powerful true story about overcoming life’s curve balls! This book gives me strength and faith to keep pursuing my dreams, despite those who want me to fail!" "At some point, we all ask ourselves, “Who am I?” For some of us, the answer is found by the events that intersect us throughout life. The good, the bad and the ugly. 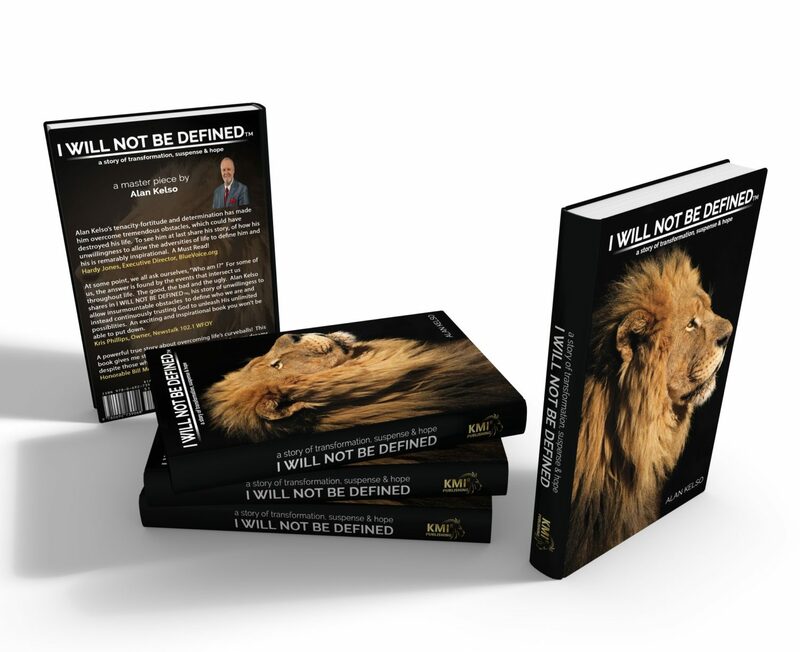 Alan Kelso shares in I WILL NOT BE DEFINED TM, his story of unwillingess to allow insurmountable obstacles to define who we are and instead continuously trusting God to unleash His unlimited possibilities. An exciting and inspirational book you won’t be able to put down." "Alan Kelso’s tenacity-fortitude and determination has made him overcome tremendous obstacles, which could have destroyed his life. To see him at last share his story, of how his unwillingness to allow the adversities of life to define him and his is remarkably inspirational. A Must Read!" “I WILL NOT BE DEFINED™” is a story of Transformation, Inspiration, Suspense and Hope. Details the story of a young man in the prime of His life, who is at the pinnacle of his success. He develops a successful enterprise of ministries including a Christian Television Station and the the first premier digital video company in the Midwest only to watch it come crashing down. He’s forced to vanish from all he has accomplished as a CRIME SYNDICATE pursues him. How do you overcome when you are on Top of the World and suddenly your World is on Top of You? Living life everyday watching, listening, preparing for that moment when you will be discovered because of what you have hidden away, forced to reinvent who he was to protect his family. I WILL NOT BE DEFINED™…is a true story! No-one just happens! We were not an accident nor an incident, we weren’t born by mistake and we are not the result of an act of nature nor a one night stand. Whether you had a mother or father to raise you, even if you never knew who they were, you were not an accident. Whether you realize it or not, God’s Word declares that He “purposed you, created you, made you and knew you when you were still in your mother’s womb.” The word of God also says, that he has ordained you and has been guiding you throughout your entire life, every step of the way. Throughout our lives, we are being guided by God and no matter what events have transpired, whether good or bad, God has never been caught off guard. Listen: When we are on top of the world, God is leading us, and it is the same God who is leading us even when we are walking through the valley. Every step we take God is aware and I believe He is leading us even if the good man is going through a bad place, even if you are down in the deepest pit, in the lowliest of darkness and the hopeless agony of despair. When we are consumed by the feelings of abandonment, overwhelmed by the feelings of being alone, God is walking with us and leading us. No matter where we may find ourselves, God is still God and He has ordained our steps. Job, who lived thousands of years ago, said that God knew what was going on in his life. He knew where he was. I want you to know that God knows where we are! He knows when our job is gone, when we don’t have money to put groceries on the table. He knows what people are saying about us, cursing us, setting all types of traps for us. Even when the path heads straight into the deepest valley, in those dry, dusty, choking places, where we feel as though our spirit is becoming overcome by the desert place that we have fallen into, God sees us. It is a wise man who knows how to live his life when he is on top of the world, living his dream. 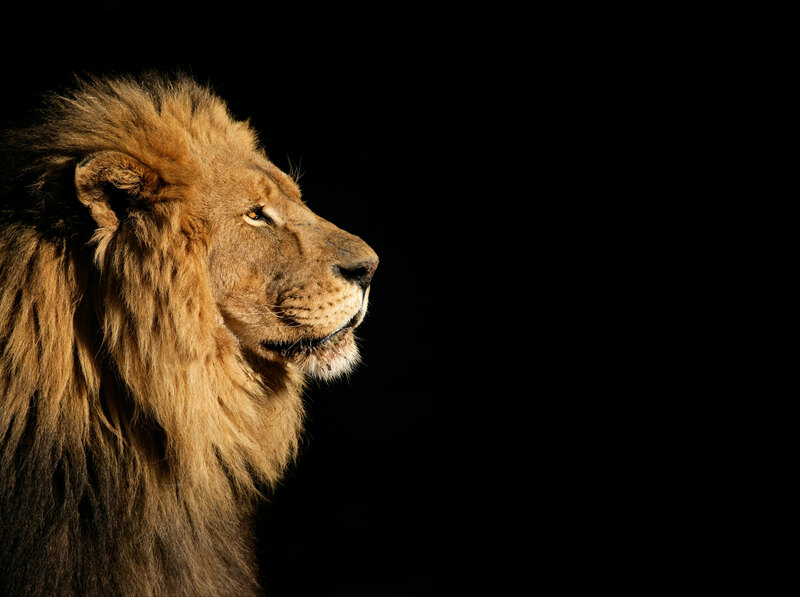 Who, in a moment of time, can come crashing down from the top and be able to live with the same confidence of purpose, even when all Hell is let lose. I will share a couple of lessons I learnt over the years with you in the proceeding chapters of this book. I call them the truth. I am not defined by what I am, where I am or what is going on around me. I am walking in the plans and purposes of God. Even when others meant evil for me, God had a plan for me. Even if I felt like I wasn’t at the place where he was leading, when I felt like I was out of His will, God was still leading me. God is leading us when we are on top and is still leading us when we are at the bottom. Over the past 30 years, I’ve shared different aspects of my life. Each time I was told the same thing, “You need to tell your life story in a book so others can know there is hope.” Share with them the mind-blowing story of how a young Minister with a dream of reaching a community, a state and a nation with no money could build a 24 hour a day television station, become CEO and President of the first fully digital video/film production facility in the Midwest. And how that same Minister, in just a few months, found obligatory, in the middle of the night, to break into an office building, find and take specific files that revealed how a crime syndicate was mishandling hundreds of thousands of dollars from the Federal Government. And because of what he knew became a target. I will share how I had to create for myself a new identity, a new life. Alone with the real reason that in the prime of my life, I had to disappear and change my entire world. Why I needed to abandon my career as a Pastor, Evangelist, Television Host, Producer and Singer. A career I had prepared for my entire life. Why I left a ministry where thousands had been born into the Kingdom of God, people healed from all kinds of diseases, even used by God to see the dead come back to life, to become a man, always watching, studying every individual, wherever my family and I went. Whether it be dining in a restaurant or shopping in a mall. Always positioning myself where I could, in an instant, respond to any potential threat. Coming to grips with the reality that now existed. That I was on the run but had to live in such a way that no one would ever be suspicious of why I HAD CHANGED. I’ll share my story and the lessons I have come to learn in each of the chapters. We'd love to hear from you. Please use the form on the right to contact us today!